Ohio is blessed with an almost ideal geographic and atmospheric conditions for hot air balloon flights. 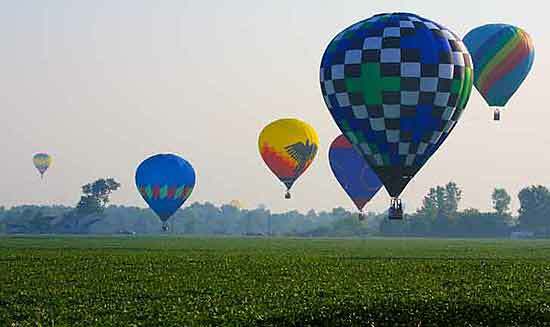 In fact, Ohio has the third largest concentrations of balloon pilots in the country. The mix of numerous urban areas next to farm fields and the gentle topography throughout most of the state make for spectacular views and gentle landing spots.